Players big and small clamor for their share of the industry’s fastest-growing segment. Consumer awareness of cider has continued to increase thanks to a proliferation of tasting rooms. Middlebury, Vermont’s Woodchuck Cider House features a tasting room (pictured), gift shop and self-guided tours of the brand’s new cidery, which produces two dozen different varieties. The versatile apple goes well with just about anything, as any connoisseur of apple pie or other apple-based desserts can attest. Put it together with cranberries, blueberries, raspberries or raisins and the combinations are virtually seamless. 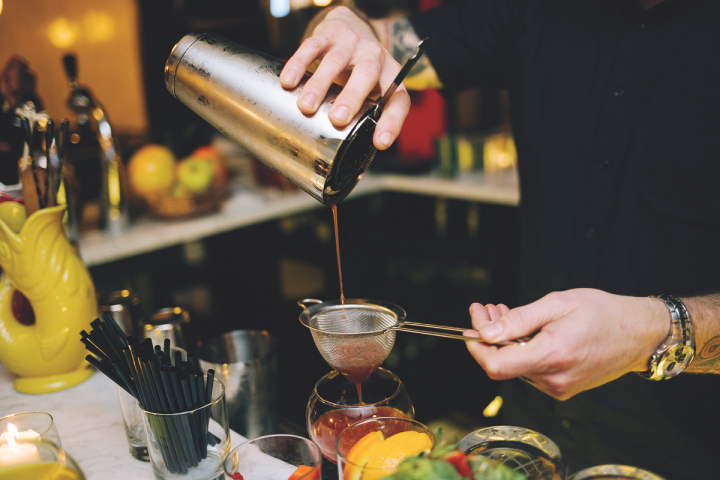 Indeed, makers of hard apple cider are stealing a page from vodka and Bourbon with a slew of new infused variations. A year ago, Vermont Hard Cider Co.—whose Woodchuck brand is No. 2 in the cider category at 2.31 million (2.25-gallon) cases in 2014—spent $34 million on a new cidery in its hometown of Middlebury, Vermont. The facility is big enough to produce some two dozen cider variations, ranging from ginger and smoked apple to chocolate and sour cherry. Late last year, the company launched Hopsation ($10 a six-pack of 12-ounce bottles), throwing hops usually reserved for beer into a cider recipe to yield IPA-like flavors. Cider is growing even faster than craft beer, driven by The Boston Beer Co.–owned Angry Orchard brand (cidermaker David Sipes pictured). The leading players in the domestic beer industry don’t appear willing to let imports or crafts gain too much of a foothold at retail. The Boston Beer Co.’s Angry Orchard brand, the category leader, jumped 81 percent in 2014 to 14.5 million cases, according to Impact Databank. Anheuser-Busch InBev’s Johnny Appleseed burst onto the scene a year ago and quickly grabbed third place with a volume of 1.5 million cases, slightly ahead of MillerCoors’ Smith & Forge brand—also new to the marketplace in 2014—at 1.24 million cases. The entire category saw sales leap last year by 61 percent to nearly 26 million cases, equal to about 1 percent of the U.S. beer market. But the gains weren’t shared by everybody. 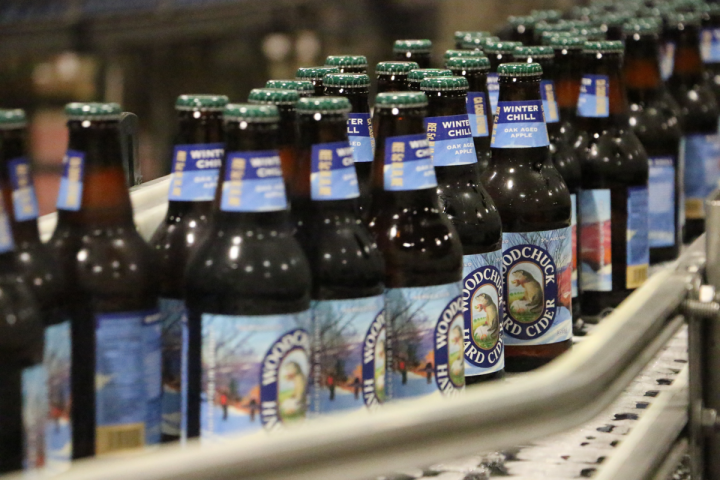 Woodchuck’s sales, in spite of its line extensions, saw a 17-percent decline, while the company’s import brand, Magners, was flat at 604,000 cases, placing it in the No.-8 spot. Meanwhile, Anheuser-Busch’s Michelob Ultra Light cider slipped 25 percent to 415,000 cases and the No.-9 position. Rowell partly blames Woodchuck’s decline on a decision not to advertise on television in 2014 and 2015, while its biggest competitors have been blitzing the airwaves with commercials, spending around $100 million last year. Angry Orchard’s rise has been buttressed by a product lineup that’s nearly as varied as Vermont’s. There’s the cinnamon-spiced Cinnful Apple ($7 a six-pack of 12-ounce bottles), the French hops–infused Hop’n Mad Apple ($7) and the sweet, frozen juice–enhanced Iceman ($15 a 750-ml. bottle). In fact, after just a year on the market, Smith & Forge is readying its first line extension to be introduced late this summer: the honey-flavored Tennessee Barrel cider. The brand, which launched in 12-packs of cans, will be adding six-packs of cans as well. It remains to be seen how the honey flavors will play out with the strong male audience cultivated for Smith & Forge since the outset. Many cider producers branch out into other categories, often using the same equipment. Alter Ego Cider produces 2,000 gallons of cider a year, as well as a range of wines under the Helioterra label. 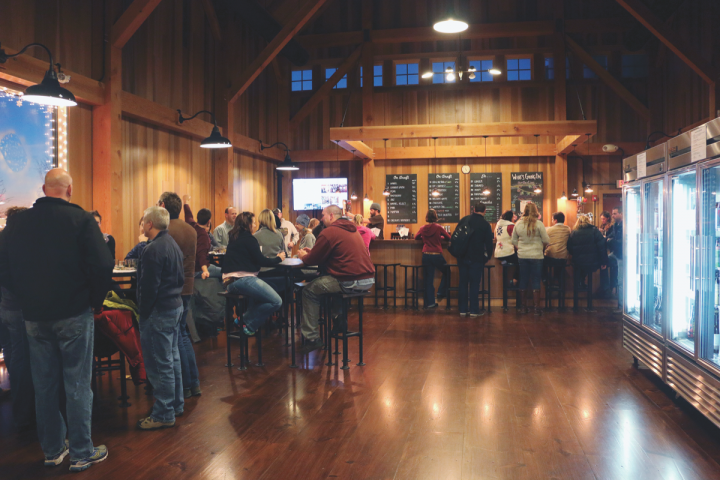 Fueling cider’s popularity is the growing trend of tasting rooms that showcase products and draw tourists. Kaleva, Michigan’s Northern Natural Organics has opened a tasting room in the tourist mecca of Traverse City, 45 miles north of the cidery. President and CEO Dennis Mackey expects to produce 36,000 gallons of Northern Natural cider this year—double the 2010 total. The company offers seven ciders ($11 a four-pack of 12-ounce bottles), including Orange Blossom, Cranberry Ginger, Elderberry Apple and Blueberry Apple, and the tasting room maintains a dozen tap handles ($5 a 12-ounce pour). 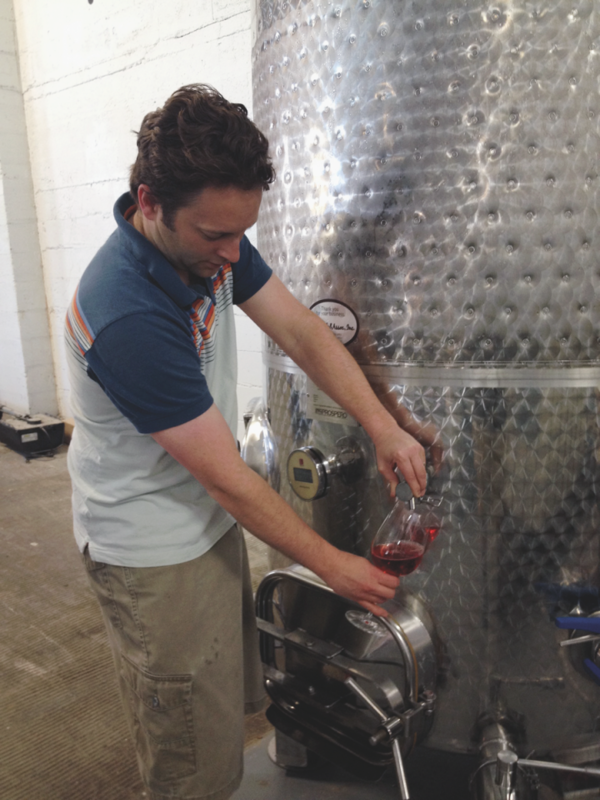 Northern Natural also produces wines from fruits like peaches, cherries and strawberries. Vermont Hard Cider recently opened a new cidery to increase production of its Woodchuck brand, the no.-2 cider in the United States. Some cider makers are also dabbling in spirits. At ÆppelTreow Winery and Distillery in Burlington, Wisconsin, co-owner Charles McGonegal produces apple brandy, sorghum whiskey and the fortified apple wine pommeaux in addition to 6,000 gallons of cider. “We’re at capacity right now,” he notes. The place is isolated, but on a nice autumn Saturday, 600 tourists can turn up at the tasting room. In St. Johns, Michigan, Uncle John’s Cider Mill makes spirits, wine and cider from its 300-acre farm. The vast expanse of land draws as many as 20,000 people in a day—250,000 visitors a year—to its tasting rooms in the fall. President Michael Beck says the company produced 25,000 cases of cider ($10 a four-pack of 16-ounce cans) in 2014 and hopes to do 45,000 cases this year. 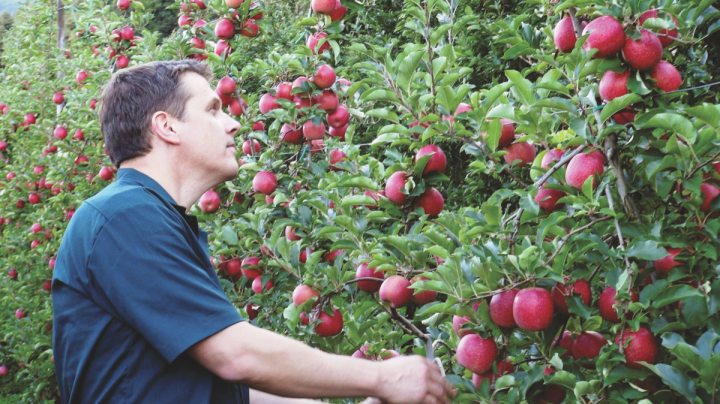 He’s continuously planting more trees, most of them bitter or tart European varieties with heavy tannins—typically shunned by most commercial orchards—that are ideal for producing authentic European-style ciders. Beck is amazed at the number of entrepreneurs eagerly entering the cider category. He serves as president of the United States Association of Cider Makers, which had 26 members in its first year in 2011 and currently has almost 400 members. Each April, Beck participates in the Great Lakes International Cider & Perry Competition held in nearby Grand Rapids, Michigan. This year, more than 50 judges ranked nearly 700 ciders, up from roughly 100 when the contest launched a decade ago. There are separate categories for mead-style offerings, hopped ciders and spiced products. 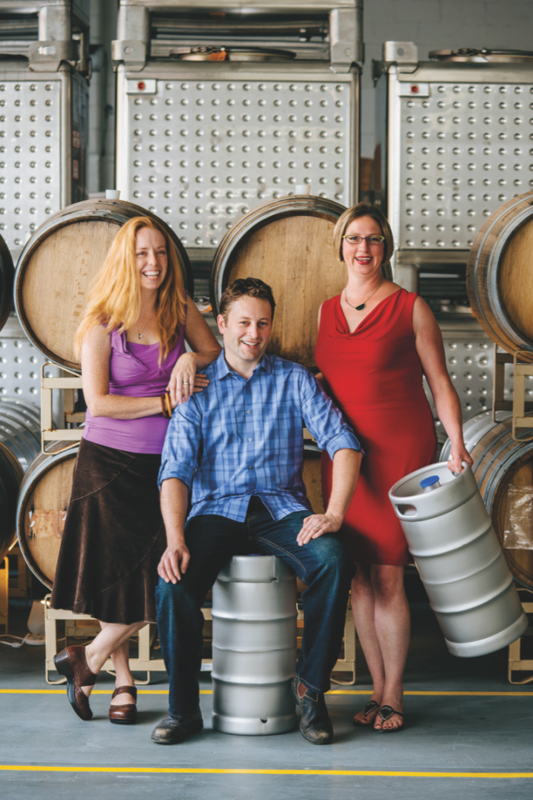 Pete Mulligan, co-owner of Forest Grove, Oregon’s Bull Run Cider Co., is president of the Northwest Cider Association. The organization currently has 52 members, up from 10 five years ago. Mulligan is experimenting with Champagne and Belgian ale yeasts and single varietals of obscure apples like Gravenstein ($7 a 500-ml. bottle). He takes great pride in hard cider representing 4 percent of beer sales in nearby Portland, believed to be the highest concentration anywhere in the country. Mulligan is also watching closely as a new bill makes its way through Congress this year that would allow cider alcohol levels to reach 8.5-percent alcohol-by-volume (abv)—up from 7-percent abv—before entering a higher tax category. Dubbed the Cider Act, the legislation would also enable ciders to have more carbonation. “If we fix regulations, we can help this category really grow,” Mulligan says. In Chicago, Aaron Zacharias is set to open the Northman Cider Pub this summer with 20 ciders on draft and another 100 available by the bottle. 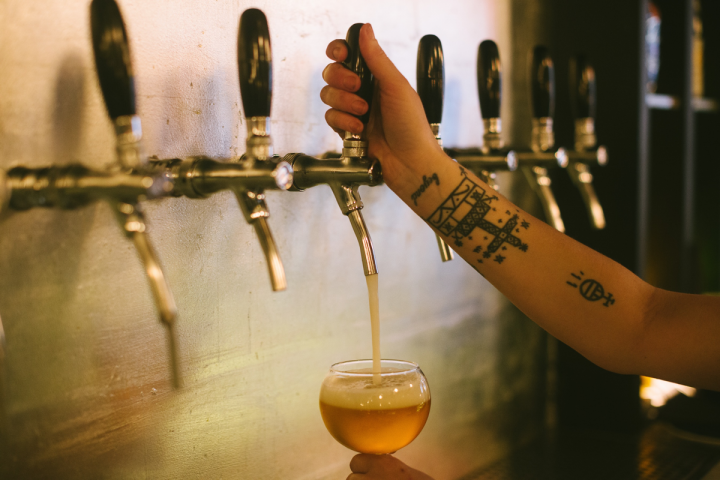 He’ll also serve beer and spirits, but anticipates that 75 percent of his sales will be in cider. Northman will offer cider flights ($2 to $4 a 2-ounce or 4-ounce pour), as well as cider dinners and special events. There won’t be a MillerCoors or Anheuser-Busch product anywhere on the premises—just craft ciders. “We think we’re getting in on the start of something big,” Zacharias says.